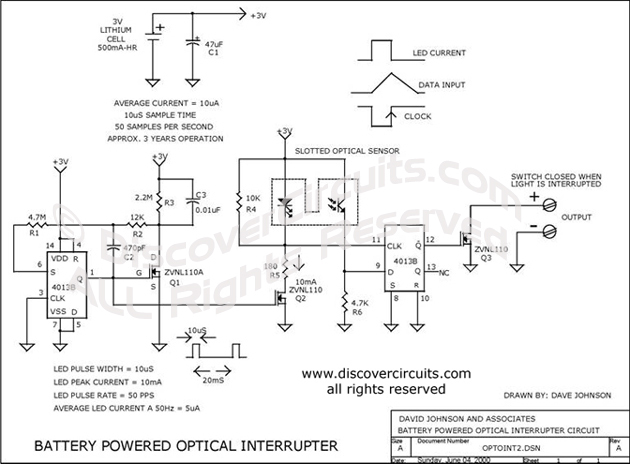 Circuit: OPTICAL INTERRUPTER DRAWS MICROAMPS__ Circuit designed by David A. Johnson, P.E. This circuit is great for battery-powered systems that use slotted type optical interrupters. It draws only 10uA from a 3v battery that should allow up to 5 years of operation from a lithium battery.